I was invited to Nebraska at the 4th World Symposium on the vine and the cold climate wine, where 11 countries were represented including 5 wine regions in Canada and 19 US states. During the tasting of wines of the world, I presented the wines from Quebec and Nova Scotia. a very good impression was left on wines from here. 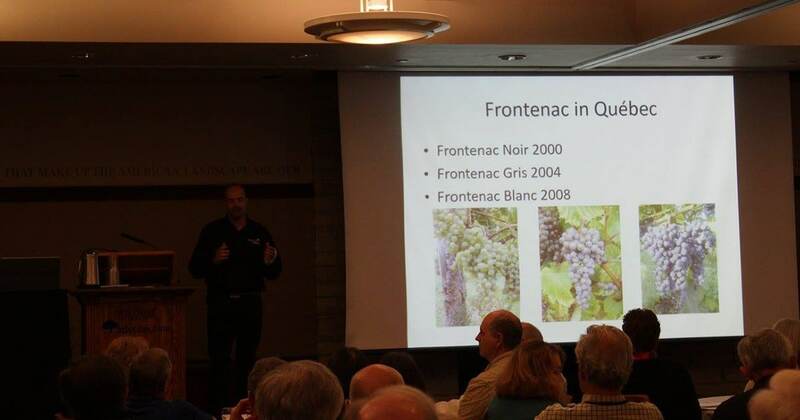 My presentation focused on the cultivation and vinification of one of our most planted grape varieties in Quebec. The “Frontenac trilogy.” One of the most important wine house of California was present in the room, his representative said he was impressed with the wines that I have presented. They want the freshness of our wines. The acidity; a wealth begins to become scarce on our wine warming planet.